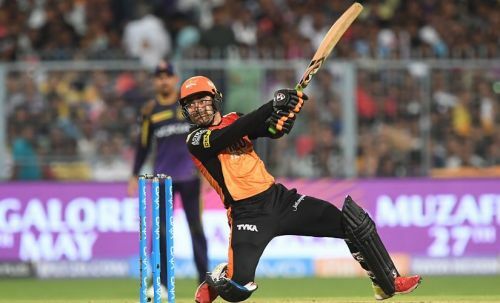 IPL 2019: Should Sunrisers use Rashid Khan as a pinch-hitting opener? IPL 2019 auctions are around the corner and teams are preparing to get their combinations right by releasing players, retaining some of them and buying a few in the auctions. Big names such as Yuvraj Singh and Shikhar Dhawan have already been released. If we look at the list of players released one of the biggest names would be that of Shikhar Dhawan. The southpaw was a great asset for the Sunrisers and their leading source of runs alongside David Warner. But with Dhawan traded to Delhi, what can SRH do about their opening combination which was their strength in all these IPL seasons? SRH can go the KKR way and try Rashid Khan as a pinch-hitter at the top alongside Warner, just as KKR did with Sunil Narine. Rashid is a very capable batsman and showed glimpses of his batting prowess in IPL 2018 in the knockout game against KKR. He has a very healthy strike rate of 126 in T20 internationals and 175 in IPL and is skilled enough to play blistering strokes against top bowlers. With David Warner and Rashid Khan opening the batting, it would provide a handy left-right combination to SRH at the top. Both are free-flowing players and can provide a quick start for the team. Rashid is currently one of the most active T20 players going around, playing a lot of franchise cricket all over the world. He recently showed his inventiveness in the T10 league by imitating MS Dhoni's helicopter shot. If SRH somehow manage to sneak Rashid in to open the batting, they can solve quite a few of the problems that plagued them in the previous season. Rashid currently holds the numero uno position in the ICC ODI Rankings for All-rounders and ICC T20 Rankings for Bowlers. It's now up to the Sunrisers to utilise the abilities of this Afghan wonder and get their combinations right before the new season.